The 5th Annual Chorley 6 Hour Road Race takes place on the Saturday 5th October 2019. Start time 10am to 4pm. Venue : a 732-234 metres certified scenic circuit. Event comes complete with excellent chip-timing from Julie and Graham from WhatsMyTime ltd.
Every lap inclusive of part-lap at finish. Every hour laps are manually visibly displayed, monitored and recorded for all runners . Major distances taken at appropriate times throughout. First-aid by qualified Chorley’s Angels medical team. Portable toilets on side of course. Attractive race village assembled – system used covered market stalls, tables, chairs allowing adequate storage for runners needs. Basic food and drinks free to all runners/helpers in the event. Presentation as soon as possible after the finish on site. The 5th Annual Chorley 6 Hour Road Race again supports UK Ultra-distance running and Chorley homeless. There will be no Liverpool 6 Hour in 2020 however it may return in 2021. Friday morning 10 am prompt 17 men 1 lady assembled on the start line on a dry cool early March day. Sharing the lead after 1 hour was Centurion Craig Holgate and Winchester AC’s Simon Williamson on 28 laps with all runners covering 16 laps. Through two hours Craig opened a little gap from Simon/John Naylor/Les Hill. By three hours that difference had grown and was to be maintained to the end. People use adjectives like “smashed it” Craig put in a shift to record 50 miles + without opposition in dire conditions; a genuine credit to ultra distance. Red rose runner John Naylor cleared his best in 2nd with another best from Dursley Runners James Hobbs in 3rd just about managing to keep Jane Lightfoot showing glimpses of real form in 4th place. Next a trio of troopers Peter Cowan/Nick Nicholson/Paul Tyler closely matched at the finish. O/6o Les Hill ran fluently up to 4 hours until the gremlins halted his progress on the day. Newcomer Craig Lancaster battled hard to support his comrade to win the team race for Red Rose Runners. John Chester/Simon Williamson/Richard Williams/Adam Lowe and Harry Craven, the youngster suffering with knee problem just holding off elder statesman Anthony Barnett showing remarkable judgement. Marathon buddies Mark McCarthy/Michael Pate/Derek Ivens completed the standard distance in good shape. So at a friendly awards ceremony the honours were presented with words from Omid Khafaud Professor of Social Science and David, an executive from Whitechapel homeless and the event ended. Just a few words for the 6 volunteers – 3 ladies plus 3 men who did a good relay over 6 hours period amassing reasonable mileage and funds for Whitechapel homeless. Thank you for allowing us permission to use your excellent course and facilities Hope University, appreciated. After a few hours sleep on Wednesday due to illness to Barbara, my wife and volunteer extraordinary to ultra-distance, managing to square situation at home, I left early Thursday morning for Liverpool to prepare in readiness for Fridays event. Well, no-one greeted me, only the awful heavy rain. Previously on Monday I travelled with as much equipment as possible to get the race shipshape to make progress before Friday so whilst the rain was incessant, I used the time to contact departments involved to allow them notification of our needs on the day. This done I buttoned up and began marking the course. The system I used flagged every 5 metres so I knew where the runners were at any stage of the race especially at the finish. Also to hang flags and bunting at strategic points for essential and cosmetic purposes. By now thoroughly wet, I retired to my posh accommodation on campus to dry my soaked clothing and to start on necessary paperwork. Two hours flew by, my clothes perfectly dry on the efficient radiators. Outside again to check on any errors and converse with interested people briefly in the rain. Satisfied preparation was 90% clear for race day around 6pm from a 11am start on my lonesome my belly told me it was food time so after dining, back to room and more paperwork and bed for a fitful sleep, scared of oversleeping. Friday morning soon came. The weather was good lifting my spirits. After an hour I was joined by department workers to finalise duties so the start was upon us. Unfortunately the weather gods got angry with me – not for the first time and after an hour steady heavy rain accompanied the brave runners throughout the remainder of the event. But on the bright side the race was illuminated by a new men’s course best and, subject to ratification, a new UK overall best on the road over the 6 hour allotted period. 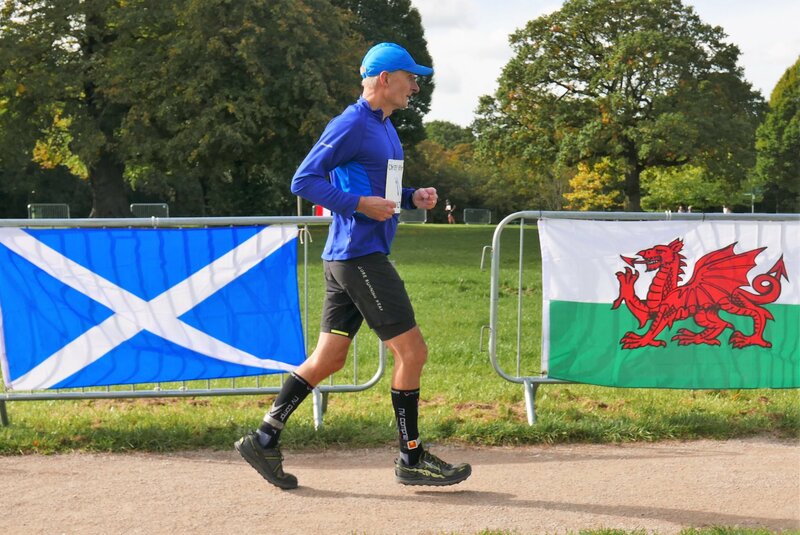 Many personal bests were recorded, a source of pleasure to runners so my latest in a long career of ultra races ended pretty tired and wet but glad to have given service in 2019. To finish, the race made a generous donation to Whitechapel Liverpool homeless who, like ultrarunners, know all about long hours for the cause. Finally, a big thanks to Liverpool Hope University for allowing us to use such splendid facilities and course. First week in October the 4th Annual Chorley 6 Hours Road Race saw 14 ultra-enthusiasts lined up at 10am for the start. Councillor Alistair Morwood rang the confiscated Yorkshire cowbell after addressing the troops and the 2018 version was on its way, blessed with Autumnal sunshine on the popular established Astley Park circuit. Regulars revisiting alongside determined newcomers covered the opening 2 hours with little to choose between them. Stockport Harriers James-Scott-Buccleuch emerged from the pack at the standard marathon mark, before unfortunately sustaining an ankle problem robbing James of a promising high mileage. Returning East Hull Harriers, Mark Bissell, came through to assert a relentless pace which was to prove successful to record another 70k plus performance at the finish to gain the HOPE shield. Second man, Dumfries RR V/60 star Les Hill posted 66.712k, a new unofficial GBR age group best for V/60s with a really consistent display of controlled running over the allotted 6 hours period. 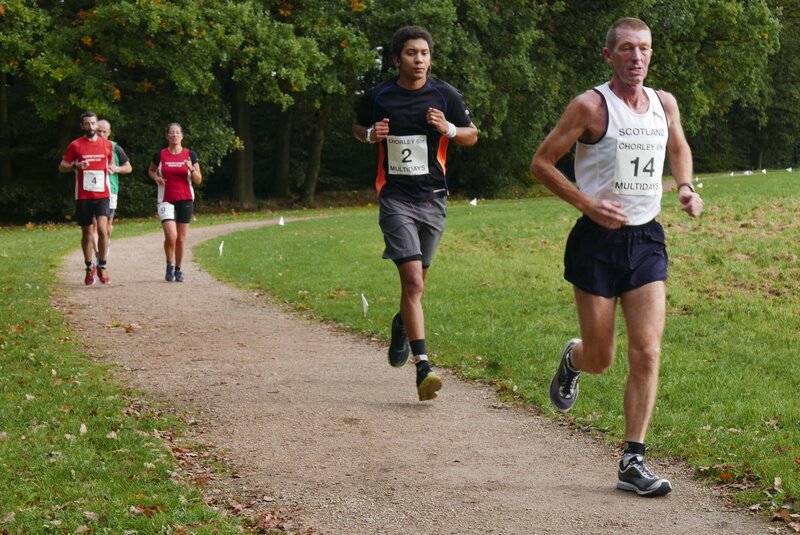 Banbury AC 3rd man Phillip Vincent only 1 lap behind returning a brilliant show especially in the later hours on the scenic Astley Park course. In 4th Joshua-Douglas-Walton a further lap down performed outstanding on his debut mixing it throughout the whole race. Another powerful consistent effort saw Blackburn’s Adrian Shorrock complete 5 finishes beating the 60k distance. J-S-Buccleuch persevered although visibly hampered to clear 79 laps closely followed by James Hobbs the Bristolian giving a good account for the City. Steven Bayliss Wigan / Graeme Roberts, Edinburgh shared 73 laps of grit and determination. David Barras/Keith Glover/Peter Cowan found enormous spirit bashing the circuits out hour after hour. Unlucky Andy Holgate fell victim to illness during event we wish him well. Solo lady, Course Record holder and GBR F40 age group holder Caroline McLaughlan alongside comrade David Barras secured the ASTLEY Team shield with a dominant day out at Chorley. Quantity is the normal criteria for events in the modern era, but the quality shown by the 13 finishers at Chorley was really motivating. Since 1981 after 24 attempts from 6 hours to 6 days to get the discipline fit for purpose and improve year on year, the 2018 Annual 6 hours version again gave me new experiences of a pleasing nature. Preparation went smoothly, no problems. Pre-race day setting up was hampered by constant rain, but Alan and Stan got the course fairly sorted ready for the onslaught of many duties early on race day. The race Village/course looked quite well in the sunshine. Julie and Graham again were stars in the technical chip/timing department, nothing left to chance with updates prompt and accurate for all runners. Councillor Alistair Morwood started the race again in a professional manner. Sir Lindsay Hoyle MP, Deputy Speaker of the House of Commons covered the Presentation doing a splendid job showing knowledge and understanding of the 6 hours runners’ trials and tribulations. 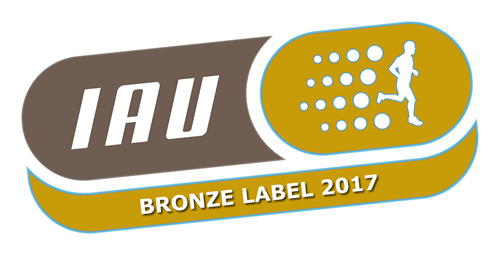 Special thanks to our acquired loyal sponsors who again were solid gold with contributions. Just before closing a word about Beyond the Marathon – all 13 finishers covered genuine ultra-distance marks, a true reflection of ultras giving service to the sport and myself. To end 2019 we go 5th October for the 5th Annual Chorley 6 Hour Road Race. Twenty-six troopers with two absentees assembled for the RUN for HOPE Liverpool 6 Hours Road Race on April 27th 2018. The weather forecast was for mixed elements. They were wrong rain – there was, constant, from start to finish. Early stages Mark Bissell/Craig Holgate/John Naylor/Marius Kovacs/Harry Craven showed well with Caroline Mclaughlan, David Barras/Mark McCarthy/ James Love in close attendance. Mid race saw Mark Bissell show some terrific form although pursued bya fluent display by Craig Holgate with Thorrnton Cleveleys duo Caroline McLaughlan/David Barras and Red Rose Runner John Naylor not far behind. Throughout Mark continued to dominate until a brilliant last hourby Craig to gain the lead. Meanwhile Caroline started going through the gears in 3rd place followed by a determined John Naylor. At the allotted 6 hours period Craig Holgate registered 80km-16m in 1st place – a new UK 6 hours road overall men’s performance, amazing in the wet conditions. Mark Bissell returned 77.655 km, another very impressive completion. Caroline McLaughlan after a magic last hour and thirty minutes covered66.882 km with the added part lap 66k-663 on initial result. A new v40/45s ladies best UK 6 hours road performance. John Naylor 3rd man/Marius Kovacs had a good battle 125/124 laps Matthew Page/Harry Craven 122,/120 laps Harry showing signs of a promising future David Barras/Andy Holgate finished 120 laps each John Chester/James Love Nick Nicholson 102/100 laps ran in harmony Jane Lightfoot 2nd lady. DrAlistair Jewell braved the continuous wet weather 96 laps. Liam Smith 92 not far behind. Then a host of marathon runners on 85 laps Liane Warren/Roy Young/Malcolm Collins/Mick McCarthy/Chris Bozier/Oggie Winters/ Richard Williams/Allen Green/ Claire Pendery/Hayley Brewis/ with 6 days Hungary bound Adrian MacDermott doing final preparation 75 laps. Team race was won by Team Holgate with 136km -128m 6 teams finished. Also a Universities relay race won by Team D 55km-11m 4 teams finished. Altogether Liverpool Hope University gave a great service to ultrasand the team of students performed brilliantly plus raising much needed funds for Whitechapel Liverpool Homeless and the ongoing Palestine Project. Late summer of 2017 I was asked to take a look at the facilities regarding hosting a 6 Hours Road Race on campus at the Liverpool Hope University. Having assessed the potential of staging a ultra in 2018 together with the universities consent, it was decided on late April 2018 to run the event. Initially a very good 1km circuit was shelved cause of ground-works on campus. So not to upset a 501 certified course planned a course of many features without hazards on a good level surface with all amenities for ultra-distance-runners and attendants. So as the months went by meetings were held, a healthy entry of runners accepted the challenge and we had a race to further benefit the future of ultra-distance-running and to aid the chosen charity funding. videos arranging with various sections of the university a students get-together then finally onto the course circuit to make it ready. Aided by students Laura, Louise and Barbara Jewell, an attractive course was prepared after a night’s sleep in accommodation on campus. Early Friday we began to finalise the race village which was assembled all ready prompt on 10am. The runners set off on their journey but the Liverpool weather was very unkind rain/rain/rain/ throughout but improvisation was a success due to our experience gained from Chorley 2017 in the incessant rain. So the 2018 Liverpool was very well accepted and at a lovely presentation arranged by Mr David Sennett hosted by the Dean of Hope University a very interesting good report was narrated for all runners/staff concerned with the event. Thank you Liverpool, RUN for HOPE was another worthwhile experience.